Britain's is bust. The economy is in recession and more and more people are losing their jobs. As a result tax receipts are plummeting and social security spending is rocketing, putting a squeeze on funding for vital services such as healthcare and education for years to come. To make matters worse, the recent banks bailout has pushed the amount of money the government needs to borrow to fund its spending - the public sector net cash requirement - to a record £44.2bn. But the schools and hospitals still need to be paid for, so how will the Treasury balance its books? 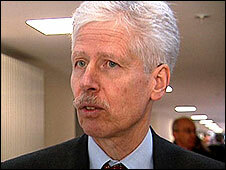 The government has already said that it will implement spending cuts and tax increases adding up to £38bn by 2015-16. But unless things change it will be the ordinary tax-payers who get hammered, not the super rich, who are able to squirrel away their money in tax havens like Liechtenstein, Jersey and the Cayman Islands. According to one estimate tax havens cost the UK revenue at least £18.5bn every year - a loss which has to be made up by ordinary tax payers. But in the past, the political will in Westminster to move against British tax havens has been weak. Now, with the credit crunch biting, Panorama asks if it is time to act, to get some of this much needed money which is "off-shore", back "on-shore". On the trail of the missing millions is Panorama reporter John Sweeney who travels to Liechtenstein - a tiny Alpine principality sandwiched between Austria and Switzerland. Home to 35,000 residents and 75,000 registered businesses, the country is ruled by the Liechtenstein royal family, which also owns the biggest bank there, LGT. LGT's activities have always been shrouded in secrecy. Liechtenstein is, along with Monaco and Andorra, one of only three states remaining on an Organisation for Economic Cooperation and Development blacklist of "uncooperative tax havens". But, as Panorama reports, many of its secrets are now out in the open after a worker at LGT Trust, part of the royal family's banking group, turned whistleblower. In 2001, Heinrich Kieber, an IT worker at the Trust, stole electronic files containing confidential information on the banks clients and sold them to German intelligence, the BND, for five million euros. Kieber's list meant that people who thought they had put their business arrangements beyond public scrutiny suddenly found themselves exposed. 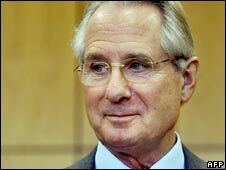 This week, Klaus Zumwinkel, disgraced former boss of the German Post Office, became the first big name to be convicted of tax evasion thanks to Kieber's evidence. But as Panorama reports, he is unlikely to be the last - millionaires and tax cheats around the world, including 150 people in Britain, are now being investigated because of Kieber's stolen disks. "We've got more than smoking guns: smoking tanks, smoking howitzers. We have got very solid clear information about individuals and some corporates who thought they had hidden money in Liechtenstein for ever and that it would never be uncovered." 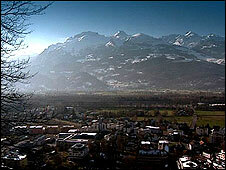 But as Panorama reports it is not just in Liechtenstein that money is being hidden. There are over 50 tax havens around the world and 18 of them are British protectorates or Crown Dependencies, like the Isle of Man, Bermuda, Anguilla and the Caymans, and the oldest of them all - the Channel Islands. 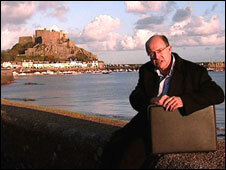 Sweeney travels to Jersey, which owes its status as a tax haven to the days of William the Conqueror. Jersey, which manages around $500bn in funds, is accused of being the stepping off point onto the worldwide tax haven money-go-round, which allows punters to stay one jump ahead of the tax man. And as Panorama reports, tax havens do more than just allow a rich minority to dodge tax payments, they can be used to hide anything from assets to liabilities to toxic debt. Though Britain has been slow to act, in the US, where an estimated $100bn a year is lost to tax havens, there is a far keener sense of frustration. In Washington Sweeney meets Bob Roach, a US Senate investigator who has wrestled with tax haven trusts the world over, and who has also received explosive evidence from former LGT Trust worker Kieber. In the old days one lonely whistleblower like Kieber would not have troubled the mighty House of Liechtenstein. But today Kieber has a powerful ally in the form of new US President Barack Obama. "It's time to close corporate loopholes, shut offshore tax havens, and restore balance and fairness to our tax code." Will this pressure, combined with the drip-drip of revelations, finally be enough to bring an end to the tax havens and to the assurances that everything "off-shore" is good for everybody "on-shore"? Panorama: Tax Me If You Can, BBC One at 2030 GMT on Monday 2 February. Is time running out for tax havens?